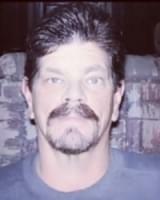 Dale Edward Perino, 57, passed away on May 17, 2014 at Banner Hospice in Mesa, AZ. He was born in 1957 in Globe, Arizona to the late Lois Huff and the late D.D. Perino. He is survived by his daughters, Ariel Perino of Portland, Oregon, and Aisha Perino of Globe, mother Billie Perino of Globe, siblings Paige Perino of Phoenix, Terri Perino of Colorado, Maryl Perino Blackwell of Missouri, and Larry Perino of Florida, as well as Larry Huff, Linda Cheever, and Debbie Christensen of Utah, and many nieces and nephews. Dale spent his childhood in Globe, Arizona and Orem, Utah. He spent his young adulthood traveling the country on his motorcycle. He returned to Globe in 1992 and remained there, where he raised his beloved daughters. He always maintained his love of motorcycles. He also loved reading and writing science fiction, and learning about computers and technology. He was very musically talented, and spent recent years building guitars, most of which he generously gave to his family.